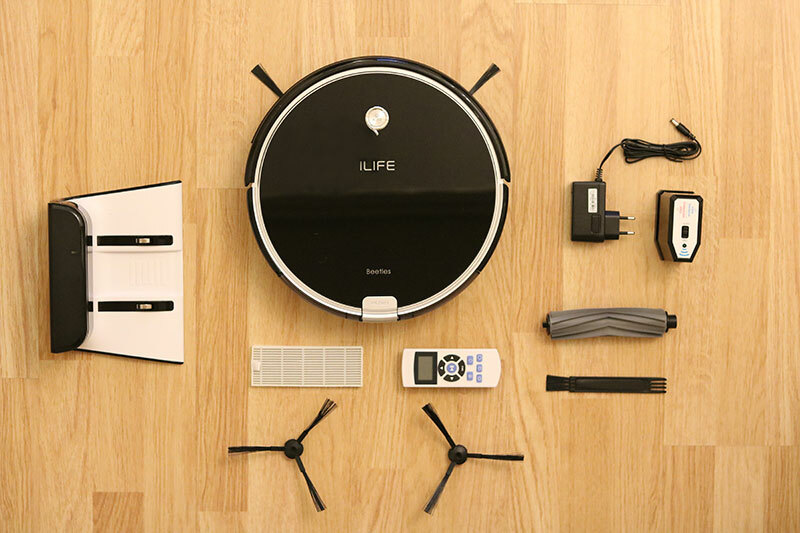 We put the awesome ILIFE A6 Robotic Vacuum Cleaner to the test with the post-Christmas cleanup operation to see how it handled itself in action. There was floor cleaning to be done and the ILIFE A6 was here to help us get it sorted. With Christmas coming to an end and party planning changing to New Year, there was cleaning to be done in the For the Smart Home office and no one who actually wanted to do it. Luckily for all involved, Santa (aka Gearbest) had been good to us this year and we got our hands on the ILIFE A6 Robotic Vacuum Cleaner, the perfect holiday (and all year-round) helper to take care of needles dropped from the tree, stray cookie crumbs, and general end-of-festivity chaos. 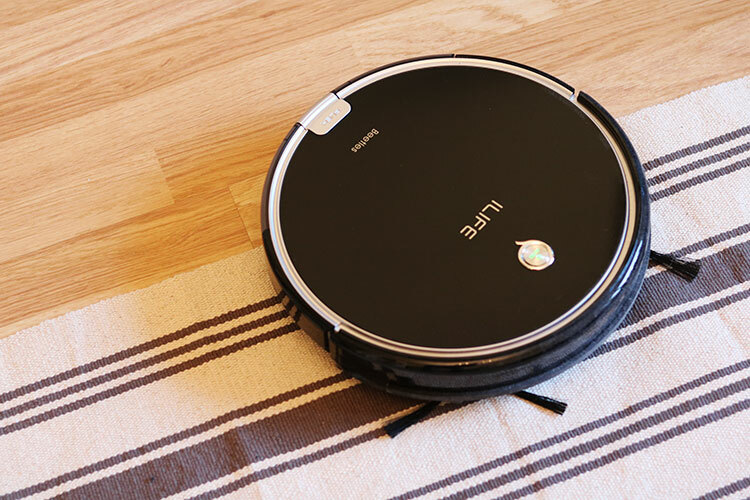 While we put our feet up and began to recover from too many days of overindulgence, we decided it was the perfect opportunity to test drive the ILIFE A6 and put it through its paces cleaning our messy floors. 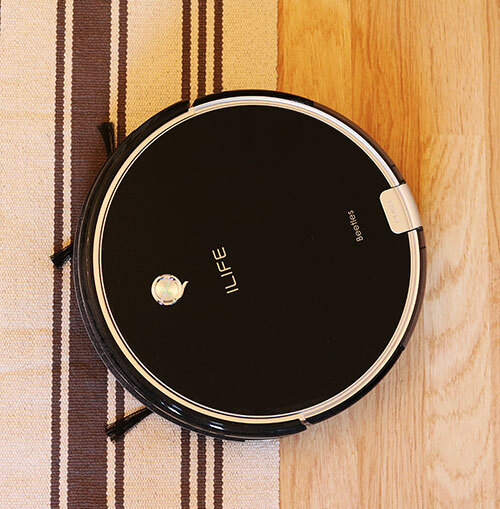 In the world of high-performance robot vacuum cleaners, ILIFE is top of class when it comes to delivering automated cleaning devices that take care of keeping your floor tidy so you don’t have to. 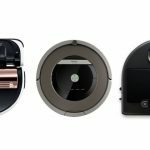 The ILIFE A6 (currently available on GearBest for an awesome $189.99 using coupon code ILIFEA6) is the successor to the company’s excellent A4 robotic vacuum and brings with it a whole host of new features and improvements ranging from battery life extensions through to an update on the cyclone suction system and brush design for increased pick-up performance. What this means in theory, is that the A6 will clean better (and for longer), even when put to work across multiple floor types such as carpets, rugs, tile, and hardwood floors. When you first lift the lid on the A6, you’ll notice that the vacuum comes packaged with everything you need to get started, as well as the essential ‘maintenance’ components for extending the runtime of the device once you get into a regular cleaning rhythm. From good looks to high performance, the A6 has a lot going for it right out of the box but before we put it to the test tackling our floors, we decided to put it under the spotlight to see what exactly this robot cleaner had going for it both under and above the hood. 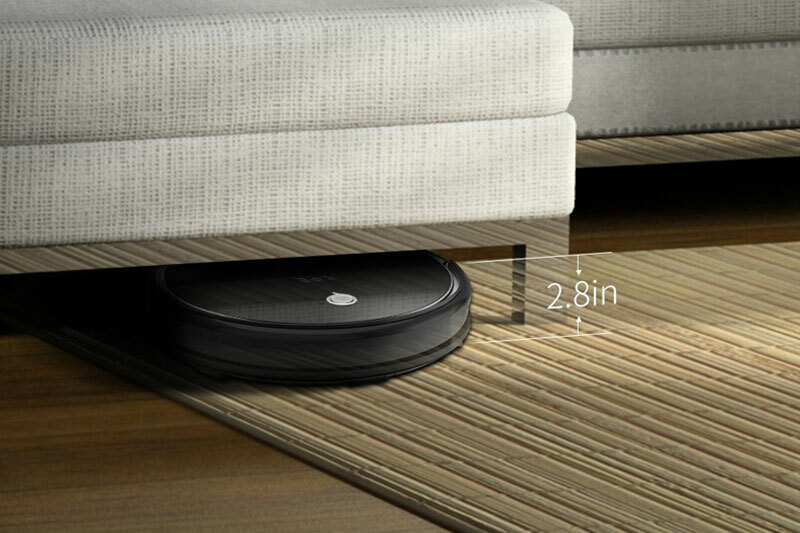 If you’ve had any experience with robot vacuum cleaners in the past, you’ll know that size is a serious consideration when it comes to choosing the best device for the job – particularly if you’re looking to have your smart cleaning assistant get to those hard to reach spots underneath furniture and in low areas. This is undoubtedly one of the standout features of the ILIFE A6 which comes in at a mere 2.8 inches in height, making it able to tackle even the most tucked away pockets of hidden dust under beds, couches, coffee tables, and more. The ILIFE A6 has a solid construction without sacrificing on good looks – an important consideration if you’re planning on having the device run automatically on a daily basis and still look great. When it comes to durability during cleaning, spring-loaded wheels are a welcome addition to the A6 and allow it to move effortlessly between surfaces (from hard floors to rugs for example) and across uneven terrain such as deep carpets with ease. A rubber spiralized main brush is another excellent feature of the A6 which makes it more durable than other machines on the market, reducing the incidence of hair tangles and making the device a particularly good choice for pet owners. 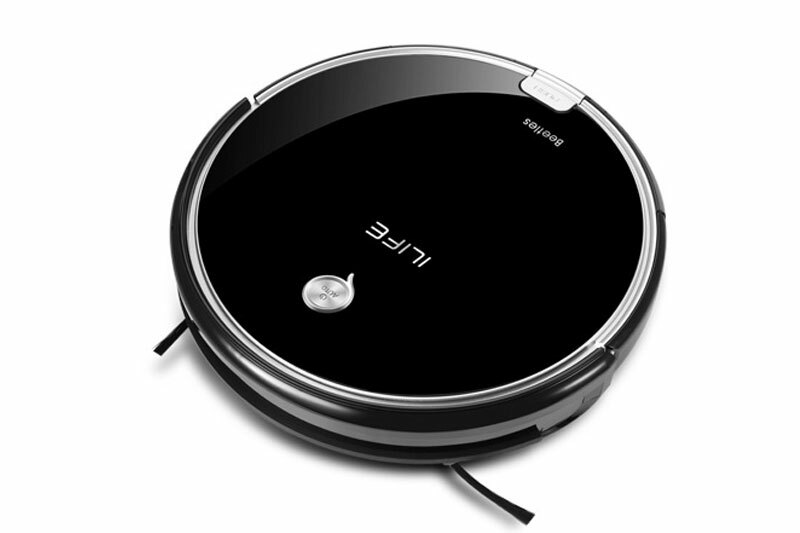 It’s undeniable, as far as robot vacuum cleaners go, that the ILIFE A6 is a seriously good-looking device. A gloss-effect black finish, low profile body, and simple user interface all combine to make for a positive visual and operating experience. 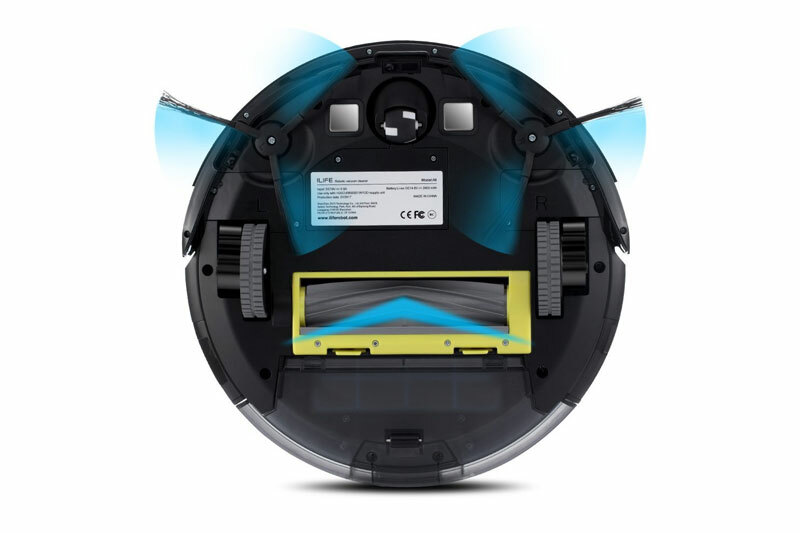 As with all robot vacuum cleaners, the main cleaning components of the ILIFE A6 effectively comprise of brushes for dislodging and ‘sweeping’ dust and debris from the floor, alongside suction for collecting it in the device’s onboard dustbox. The brushes on the device include two rotating side brushes which collect and ‘funnel’ the dust and dirt from your floor and along the edge of the walls, as well as a heavy-lifter main brush that dislodges debris from the floor. One of the biggest changes between the A6 and earlier models is that it utilizes what ILIFE calls a ‘spiral blade’, which is a rubberized brush that maximizes the effectiveness of the device when used on carpets and rugs – where a traditional bristle brush would be likely to collect tangled hair. Suction on the device utilizes what ILIFE call the ‘cyclone system’ which from our test, did a decent job of picking up most of the stuff on the floor ranging from crumbs and confetti to dust and hair. While we noticed a couple of things didn’t get picked up by the suction on the device the first time around, the excellent run time of the A6 made sure that almost all of our cleaning area was covered multiple times during a typical cleaning session, leaving little to no evidence of any uncleaned areas by the time the device went back to recharge. The ILIFE A6 is powered by a 2600mAh battery which delivers an incredible runtime of around 160 minutes which means it’s perfectly suited to covering larger areas before it needs to recharge while delivering a thoroughly cleaned smaller home or apartment. Battery charging is handled by a stand-alone charging dock that plugs into the mains power supply. The A6 automatically returns to base when it’s out of charge and will then wait for its next job. 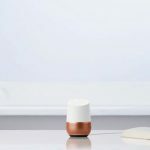 Navigation is handled by a combination of infrared sensors and a physical bumper sensor which work in tandem to detect and avoid (or seek) solid surfaces such as walls, table legs, sleeping pets etc. 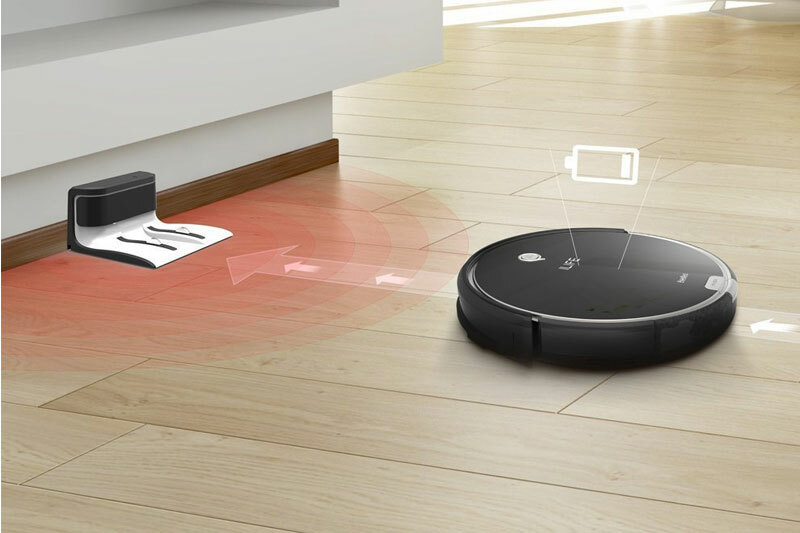 In normal ‘auto’ cleaning mode, the A6 adheres to the avoidance setting while it cleans your place, eventually using the infrared sensor to guide itself back to the charging station when required. If you switch the device to ‘edge’ cleaning, the IR sensor functionality flips, ensuring the vacuum sticks to the edges of walls, cleaning all areas of the room which may otherwise go unfinished. A high capacity dustbox sits at the back of the device and features a magnetic latch system that makes it super straight-forward to empty and replace when full. There’s no alert light or audible alarm on the device to let you know that it’s time to empty the dustbox so you’ll have to keep an eye on it. From our experience, you’re probably going to want to empty it anywhere between 3-7 days of usage (depending on the size of your cleaning area and how clean your floors are to start with). While incredibly straightforward to empty, the dustbox does have a tendency to spill slightly if you remove it from the device at the wrong angle so this is definitely something to watch out for – although you soon remember this after the first time which saves future incidents. 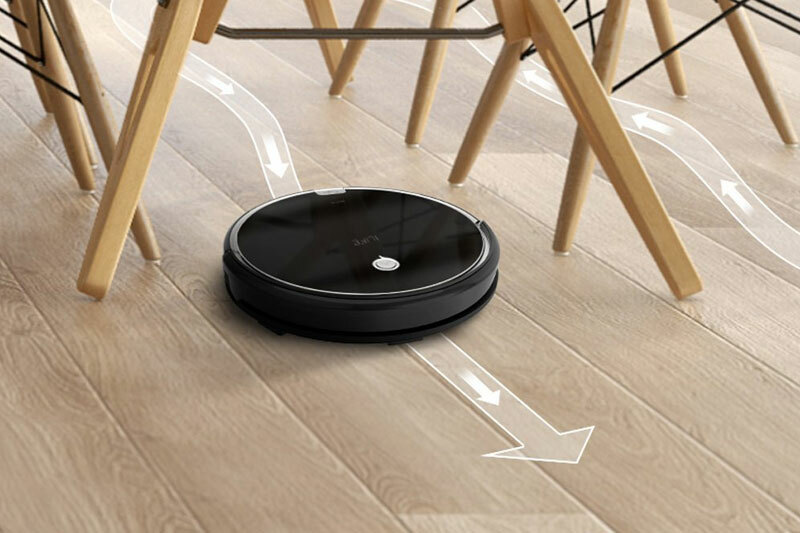 The A6 comes pre-packed with what ILIFE call a ‘virtual wall’, basically, a battery-powered device which when switched on, emits an infrared beam that your robot vacuum cleaner won’t cross. Placed within a doorway or in front of a room that you want to remain out of bounds, the virtual wall will allow you to cordon of an area and keep your automated cleaner away – a useful feature if you’re relaxing in a room but want the device to continue cleaning the rest of the home without disturbing you. Commands are issued to the device through a physical remote control which also allows you to schedule cleaning routines. It also allows manual control and switching between pre-set autonomous cleaning modes. 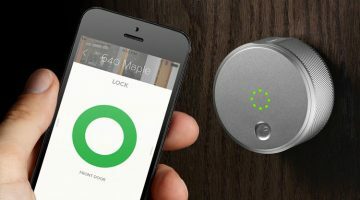 One of our only issues with the A6 was the lack of smartphone functionality or WiFi connectivity which mean it can’t be controlled via an app or through a third-party smart home controller. 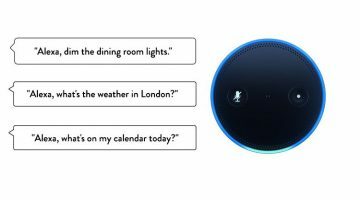 This absence of network connectivity, of course, means no Alexa or Google Home functionality or cross-compatibility with other devices, sensors or automation triggers you may have in your home, but quite honestly, this isn’t a problem when it actually comes to using the device, particularly if you take full advantage of the A6’s excellent scheduling abilities. The remote that comes boxed with the A6 allows you to carry out all of the essential tasks from starting and stopping the automated cleaning mode (the default and most regularly used cleaning mode) through to setting up cleaning schedules and even manual control of the device – if that’s what you’re into. The A6 offers three major cleaning modes which each do a great job of tackling separate, specific cleaning tasks when put to work. 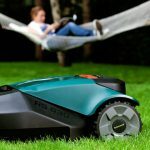 Auto Cleaning – In this mode, the device will set out autonomously to clean as much of an area as possible before running out of charge and returning to its base to recharge. This was the mode we used most frequently. 99% of the time you’ll probably be using this mode as well, particularly if you’re looking to set the A6 up to automatically clean your home on a schedule. Edge Cleaning – As the name suggests, this mode focuses the A6 on the edges of the room, making sure the device sticks to the walls and corners to ensure no areas go uncleaned. After the initial charge out of the box, we set the A6 to work on the floors giving it all room access, with the exception of one room where we placed the Virtual Wall in the entryway to keep the device out. Our test area included a combination of hardwood floors, carpets, and rugs as well as inclines, level changes and edges. Following the initial charging period (around 3 hours out of the box up to full charge), our floors were in desperate need of vacuuming, the A6 was powered up, and we were ready to roll. When sitting on the charging dock, the light on the top of the A6 will slowly blink orange while charging, turning green when fully charged before turning off completely when completely charged but inactive and awaiting instructions. We set the A6 to work on the default ‘Auto Cleaning’ mode which meant the device would go about its job of cleaning autonomously without any input from us until either we told it to stop, or it ran out of juice and needed to recharge – whichever came first. Setting the device to work was as simple as pushing the single button on top of the device itself or a button on the remote (basically a start/stop button) and with that, our new robo-cleaner was on its way to work. The first thing that you’ll notice when the A6 gets underway is how quiet the device is while it cleans. 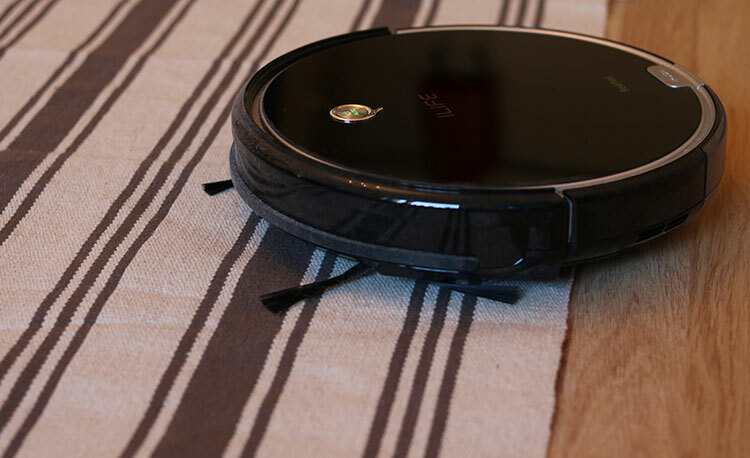 If you’re new to robot vacuum cleaners and are making the transition from a traditional vac, you’ll probably be surprised by just how little noise the A6 makes as it rolls along the floor picking up whatever it finds on its way. 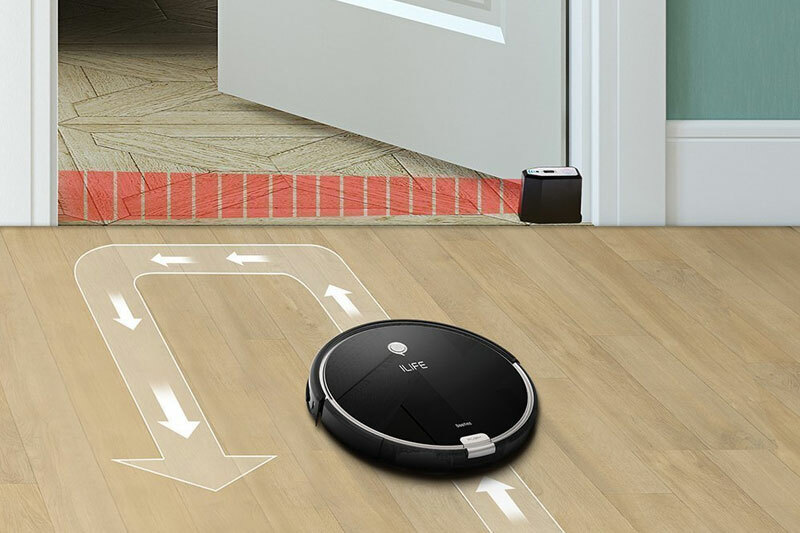 Unlike some higher-end robot cleaners, the A6 doesn’t create a virtual ‘map’ of your internal space to navigate your rooms, relying instead on an infrared sensor and a physical bumper sensor to detect when it’s near (or hits) an obstacle and needs to turn in another direction to continue cleaning. The good thing about this approach is that, given the excellent battery life provided by the A6, you’re still going to get comprehensive cleaning coverage of most small-medium sized areas by the time the device is out of power even with the slightly ‘non-smart’ approach to navigating rooms. 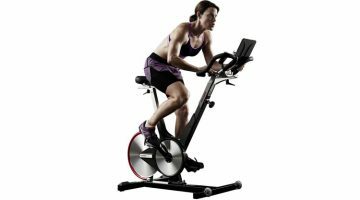 One benefit that quickly became apparent was the A6’s ability to navigate even the lowest of our pieces of furniture, saving our backs the trouble of vacuuming under couches and low coffee tables and vanquishing dust and debris that would otherwise have gone untouched. This low profile design feature really does represent a major advantage when it comes to cleaning smaller spaces and is a great way of ensuring that hard to reach spots like under beds don’t go uncleaned – an issue with many larger devices on the market. As the A6 felt its way around the floors and different rooms, we paid particular attention to how it handled potential obstacles including slopes, floor changes, edges, and deeper carpeted areas. The inclusion of spring-loaded wheels meant that the A6 made short work of transitions over bumps and when transitioning between hard floor areas and carpets/rugs. In our test, there were no areas that the device wasn’t able to navigate. Similarly, the ‘cliff sensor’ underneath the device meant that when the A6 reached a sudden drop such as stairs, it knew better than to continue on that path, turning around to safety and continuing the job away from danger. We set the virtual wall up in the doorway of a room where we didn’t want the A6 to venture and sure enough, once it came within reach of this infrared barrier, the device turned around and left the area unvacuumed. On automatic cleaning mode, the ILIFE A6 wanders around your home until you tell it to stop or until the battery is almost depleted, at which point, the device enters a low power mode (turning off suction and brushes) and will gradually find its way back to the charging dock to re-energize. 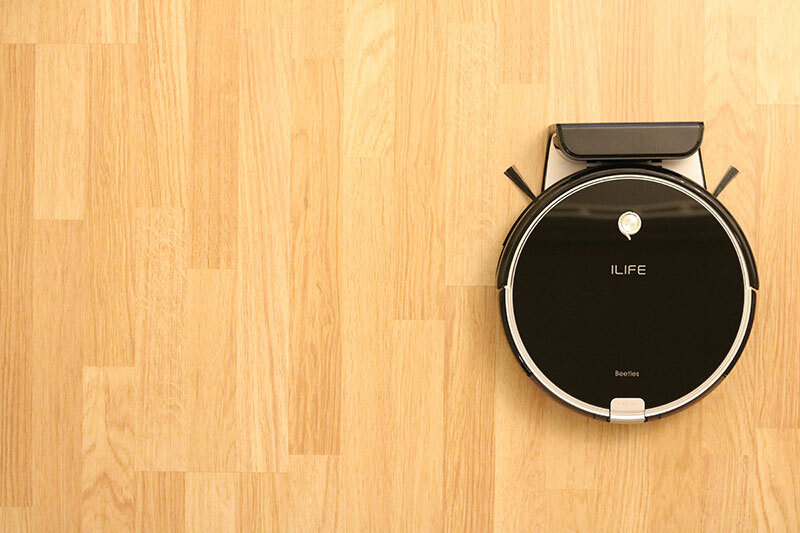 Honestly, there was a lot we loved about the ILIFE A6 from the beautifully sleek design and quiet running mode, through to functional elements like its low-profile design which gave it access to previously untouched areas of the floor that were simply inaccessible to larger, more awkward robot vacuum cleaners. On top of this, the device provided a lot of durability and operational benefits such as rugged wheels and a rubber brush that simply make it feel like it’s going to have more staying power over long periods of use compared to devices that rely on the traditional ‘bristle brush’. The inclusion of the virtual wall infrared barrier is a nice touch and while it was totally effective at what it promised to do, we weren’t convinced that it was an essential requirement as opposed to say, simply closing a door to stop the device cleaning an area you didn’t want to be cleaned. Undoubtedly, our favorite feature of the A6 by far was the incredible battery life which put it considerably ahead of most competitor brands and devices and means the cleaner is able to cover larger areas for longer. Paired with the ability to easily schedule the device to get to work throughout the week while you’re out getting on with your life, this feature represents a considerable bonus to achieving a reliable, fully automated maintenance clean that requires minimal manual input. 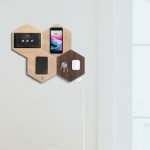 In terms of negatives, the thing that stands out instantly is the lack of wireless connectivity for hooking up with any compatible WiFi or Bluetooth devices that you might otherwise utilize in your smart home layout. The extension of this is the lack of smartphone integration or app-based control which the A6 forgoes in favor of a physical remote control. 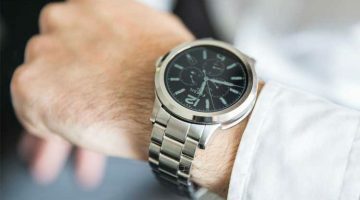 Ultimately, this wasn’t a big issue for us and certainly wasn’t a deal breaker given the awesome battery life, excellent scheduling option, and practical design considerations. If you want a robot vacuum cleaner that will respond to your voice or will start cleaning when you turn on the lights, then the A6 probably isn’t for you. 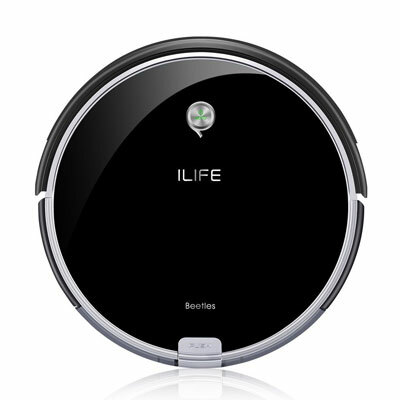 If however, you want a device that looks good and will automatically (and quietly) get down to carrying out the regular maintenance clean on small and large spaces alike, then the ILIFE A6 is tough to beat for the money. Overall, we’ve been converted to the ILIFE A6. It performed well over a series of regular cleaning sessions with us only needing to get involved when setting up an initial schedule and emptying the dustbox at the end of the week. The durability, practical considerations, and overall design of the A6 also mean that it seems highly likely we’ll be saying the same things about the device this time next Christmas. ILIFE A6 kindly provided for review by GearBest. All thoughts and opinions are 100% our own. Thanks for supporting the brands that support For the Smart Home.